The Lae Tigers of Papua New Guinea are the 2017 Melanesian Club Champions after successfully defeating the Nadi Aviators 40 – 4 at Lawaqa Park in Sigatoka, Fiji on Saturday. 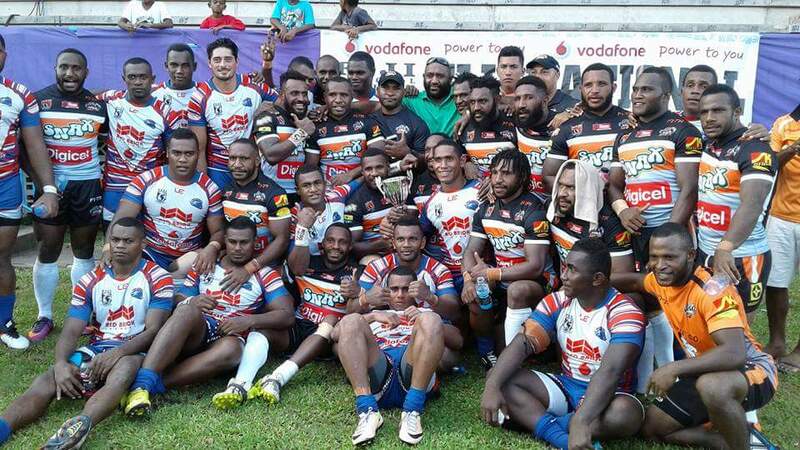 In what was only the second ever Melanesian Club Championship game, the Tigers continued Papua New Guinea’s dominance in the concept, with another significant victory. Boasting two Kumuls and a number of PNG Hunters contracted players, the Tigers came into the game as favourites and started in convincing style, scoring 18 points in the opening half before the Aviators scored a late try right on half-time. Despite the home crowd hoping for a Fiji comeback, the 2016 Digicel Cup Champions ensured that the Aviators would not score again, running in 22 unanswered points in the second half to secure the trophy. The 2018 Melanesian Club Championship will be played in Papua New Guinea, with Port Moresby favourites to host.